Most manufacturers in developing countries produce goods to designs obtained from external sources. Suppliers of large companies and governmental organizations obtain their designs from their customers. Manufacturers of general consumer products either operate under license from developed countries or copy the designs of imported products. The bulk of the developing countries export products are produced as per designs, patterns or samples supplied by overseas customers. Only a very small number of companies, mainly in the large-scale sector, are able to design and develop products on the basis of their customer’s broad specifications. So, the overwhelming majority of exporters in developing countries, the appropriate standard is ISO 9002, which does not cover design control. However, for companies that have built up a competence in design and development in a particular area of technology, ISO 9001 applies. One should realize that contracts for developing and producing equipment are normally awarded by large user organizations, or by major manufacturers subcontracting the development and supply of subsystems for their equipment. Such customers will have the competence to assess the design capability of potential suppliers. 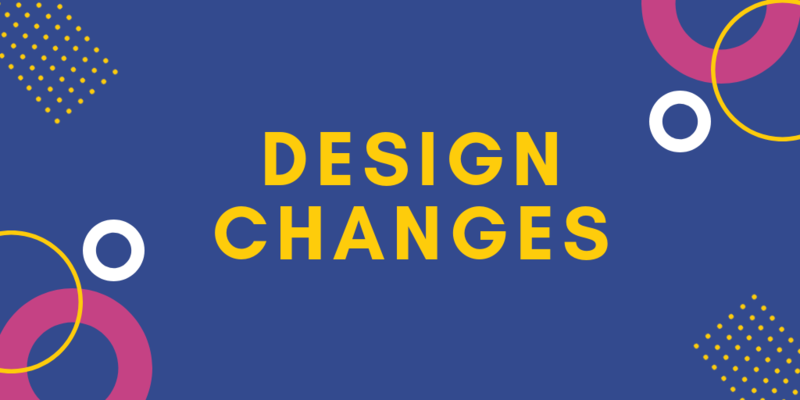 Since design is important to the quality of an end-product, no-customer will accept inadequate design control measures from companies entrusted with design jobs. So, if companies in developing countries are to compete for design and development contracts in the international market, they will have to establish quality systems incorporating design control measures complying with the ISO 9000 standard. This chapter provides rules on various elements of design control. It should be noted. So, that the guidelines focus on comparatively large enterprise designing major equipment. Some activities may not apply to small design teams producing simple designs and it may be possible for such teams of group some of the other activities specified. Furthermore, some small companies subcontract their design and verification activities to other organizations. The rules given in this chapter should enable design organizations in differing situations to adopt activities meeting their specific needs. The documentation of design control activities should be kept as simple as possible, taking into account the complexity of the design covered and contractual needs. The product-development cycle starts with an assessment of customers’ needs and ends when the design is released for bulk production. The main steps in the development cycle are listed below. Formulation of design statements changing into customer or market requirements into quality parameters expressed in quantified technical terms as far as possible. Design of the preliminary configuration, containing specification of assemblies, subassemblies and major components. Modification of the design on the basis of the design review and production of one or more prototypes. Testing and evaluation of the prototypes, including field trials under actual usage conditions of ISO 9001 certification. Modification of the design if required, and production and testing of the modified prototypes. Finalization of design documents which should also define tolerances and preparation of complete product specifications including a test schedule incorporating conformity criteria. Pilot production testing and final design review. Adjustment of the design on the basis of the design review and release of the design for bulk production. It should be noted that there is no rigid line of demarcation between different steps specified above. Some steps may overlap and others may be skipped depending on the nature of the product and other factors. Minor short-range projects such as design improvement of existing products. These may be initiated in response to production problems or complaints from customers. Major products such as the design of new models of the company’s range of products and design contracts executed on behalf of customers. In companies with a comparatively large design department, it is advisable to have separate design groups, one for each project category. Although both types of project may normally follow the same development sequence, their working procedures are likely to be different. The main input for the design improvement group will come from the production, engineering and quality-control departments. In most cases this job will be entrusted to a composite task force drawn from all the departments concerned. For new models or design contracts, the R&D department will have primary responsibility and the freedom to develop the designs needed. Input from other departments will come at specific stages such as during design reviews or whenever R&D needs their helps. Sequential and parallel work schedules indicating time periods for different activities and points at which progress should be monitored. Design verification criteria and activities. Evaluation of safety, performance and reliability. Product inspection and testing; acceptance criteria. Cost estimates for various activities and hardware, whether manufactured in-house or obtained from outside sources. Design planners should be aware of the existence of other plans and verification procedures for the execution of the contract and integrate these into the overall quality system. Marketing : clarification of customer specifications or advice on trade-offs between conflicting requirements. Purchasing : availability of and cost estimates for alternative materials or components. Technology (materials) : advice on special characteristics of materials testing reports of test laboratories. Reliability: data on the reliability of components and systems; special reliability tests. Manufacturing : process capability of existing machinery, advice on the case with which components or systems can be or produced, advice on tolerances in design documents. Quality assurance: quality problems in existing products, advice on the case with which various quality parameters can be verified at appropriate storage. The standard needs design outputs to be expressed and documented in terms of needs which can be validated and verified against design input requirements. In the case of hardware and processed materials, the design output will consist of design drawings, product specifications, chemical formulations or process instructions. It is a formal, documented, systematic and critical review to evaluate the design at the end of each phase of design and development. This should not be confused with the project progress meeting, which has a different function. The design review is carried out by persons not directly involved in the development work. The participants in the design review should contain representatives from all groups with functions affecting quality as appropriate to the phase being reviewed. The purpose of design reviews to decide whether the proposed design solution meets design requirements. It should continue or whether it should be changed before proceeding to the next phase. Normally more than one design review is conducted during the development phase of the product. Does the design satisfy all specified product or service needs? Have safety considerations, unintended uses and misuses been covered? Have appropriate materials and facilities been selected? Is the design satisfactory for all anticipated environmental and load conditions? What are the assumptions made during the design process and what is their validity? Where computer software has been used for design computation, modelling or analysis, has the software (and its configuration control) been appropriately tested? The design review is not meant to be an external audit or fault-finding exercise. It should not be used as an opportunity for representatives of other functional groups to score points or highlight the shortcomings of the design group. The review team should have a positive and objective approach and give due weight to the views of the design group. The standard requires the design review to be documented. It is advisable to record the design review in the form of a report rather than as minutes of a review meeting. The report should present the agreed viewpoint of the review team and may include. The criteria against which the design has been reviewed. The list of design documents reviewed. Observations of the review team and recommendations for corrective action if any. The decision on whether design is to proceed to the next phase. The standard implies (but does not state) that the corrective action resulting from the design review should be pursued until the reported problem has been resolved. 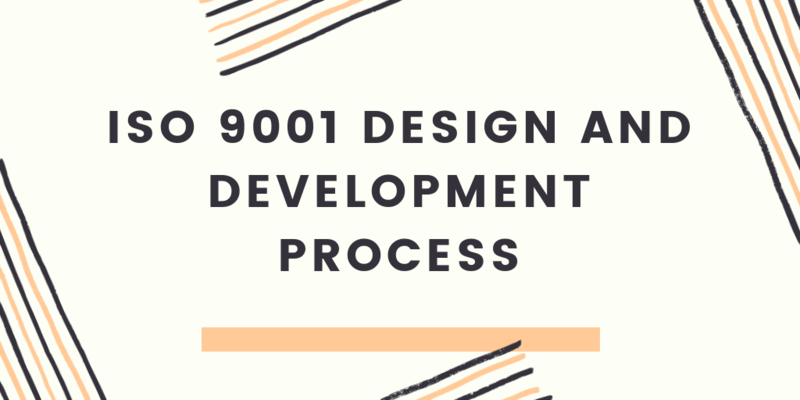 The 1994 version of ISO 9001 needs design validation to be performed to make that the product conforms to defined user needs. Design validation should be distinguished from design verification, which determines conformance of the design output to the design specification generated internally by the design team. Normally design validation is carried out by qualification testing and user trials of a few samples of the product, which are subjected to accelerated testing in the laboratory under harsh environmental and usage conditions. This is one of the most tedious and difficult phases of design. However, the quality of the finished product will really depend on the correctness and completeness of the manufacturing drawings and specifications on which production will be based. Any inaccuracy in the drawings will be reflected in the product because manufacturers look to the drawings for guidance and not to the approved prototype. It is therefore imperative that the drawings truly reflect the final design as it emerged from the evaluation studies. Even when the drawings are a precise reflection of the approved prototype, problems may arise. With the best of technology and machines, no two products can be exactly alike. Most of the manufacturing company needs ISO 9001 Certification. This raises the problem of tolerances, which are an important part of the manufacturing drawings. It is commonly assumed that tolerances of different components are selected for sound technological reasons and are as wide as possible. Unfortunately, this is not always the case, Designers tend to mention closer tolerances than are necessary, just to play it safe. There is a similar tendency in the choice of materials and surface finishes. Careful consideration should be given to the specification of optimal tolerance levels. Although tolerancing is primarily the designers prerogative, production and quality engineers with their intimate knowledge of the capabilities of various production processes can be of immense help. Errors of omission (e.g. in calculation, drafting or because of inaccurate specifications for materials. Non-availability of certain in raw materials. Manufacturing difficulties in bulk production. Requests for changes from the subcontractor or customer. Need for improving functional or performance aspects. Changes in safety, regulatory or other needs. Changes in process procedures or process equipment. Any requests for changes in the design should be properly recorded. There should be documented procedures for considering and reviewing the proposed modifications and their effect on the approved design as well as in functional areas such as manufacturing, inspection and marketing. The documents responsible for these functions must be provided with the opportunity to comment on the proposed changes. Their implications for the entire product must be carefully studied. Significant changes may need re-verification of the design. When all factors have been considered and a design change is warranted, it must be approved by the designated authority. There must be procedures for communicating authorized changes to the affected departments and for amending the documents held by them. Solubilis is one of the leading ISO certification consultants provide various ISO certifications like ISO 9001, ISO 27001, ISO 14001, ISO 22000. As a consultants in Chennai, they can offer best certifications at affordable costs.